WLS is currently monitoring (Year 5) one of the most unique and successful mitigation banks in the southeastern United States. The Monteith Park Mitigation Bank (MPMB) is located in Mecklenburg County, North Carolina. The project involved the restoration of 3,550 linear feet of stream, 1.1 acres of wetland, and installation of five Stormwater Control Devices (bioretention basins). WLS utilized the stormwater control devices to provide water quality benefits which generated additional mitigation credits as part of the comprehensive watershed restoration approach. WLS coordinated with the City of Charlotte to identify the project and secure a conservation easement on property held by a Homeowners Association. As part of public education and outreach, WLS developed an environmental education program and site amenities for Monteith Park residents. This program included the construction of Natural Surface Greenway Trail, gazebo, signage, and facilitating annual “Environmental Education Days” for the local community. The MPMB is an example of a complex restoration project that involved technical, legal, political, and educational aspects of the mitigation industry. The project also demonstrates how private/public partnerships can successfully implement projects that improve ecological functions in urbanizing watersheds. WLS is currently developing a complex stream and wetland mitigation bank in Mecklenburg County, North Carolina. The Upper Rocky Mitigation Bank (URMB) is located in the Yadkin River Basin, 8-digit Hydrologic Unit Code 03040105, which is one of the fastest growing regions in the United States. The URMB will restore approximately 10,500 linear feet of stream, restore approximately 10 acres of wetlands, incorporate Stormwater Control Devices (constructed wetlands), and protect over 40 acres of riparian buffer in a rapidly urbanizing watershed. In conjunction with the stream and wetland restoration efforts, the stormwater features will treat residential runoff across the floodplain prior to reaching the channels. The URMB represents an ideal opportunity to restore headwater stream and wetland functions to a system that has been degraded from historic land use and recent development. WLS secured a conservation easement on a portion of property that is being developed as a residential community. The project will engage a private/public partnership by working with a residential developer to design a “conservation” style development that helps protect the riparian corridor. WLS also is working with Charlotte-Mecklenburg County Stormwater Services and a nearby high school to develop a greenway amenity with environmental education signage that demonstrates the benefit of ecosystem restoration and improving water quality. WLS is currently developing a private commercial umbrella mitigation bank located in the Yadkin River Basin, 8-digit Hydrologic Unit Code 03040101. The Yadkin 01 Local Watershed Plan describes this basin as being a rapid growth region of North Carolina, particularly the Mount Airy, Pilot Mountain and Winston-Salem areas. The Toms Creek Tributaries and Grassy Creek Tributaries sites both drain directly to major stream systems that are listed as water supply watershed according to the North Carolina Division of Water Resources. The dominant land uses are pasture lands, row-crop agriculture, and mixed forest. The projects will restore approximately 10,500 linear feet of degraded stream channel, as well as preserve approximately 700 linear feet. In addition, the Toms Creek Tributaries project will also restore/enhance over 5 acres of wetlands. As a result of implementing these mitigation sites, WLS will permanently protect over 31 acres in conservation easements and address specific restoration goals in the Ararat-Pilot Mountain Local Watershed Plan. WLS is currently developing a private commercial mitigation bank located in the Neuse River Basin, 8-digit Hydrologic Unit Code 03020201. This basin is located within a rapidly growing region of North Carolina, particularly the Research Triangle area. Portions of the Hollowell Mitigation Project (HMP) are designated as Conservation Areas under the Wayne County Land Use Growth Strategies. This designation is intended to focus conservation activities towards resources that are limited or irreplaceable. The HMP would further this mission by protecting, in perpetuity, the ecological value of the Neuse River floodplain. In addition, the site streams drain directly to the Neuse River which is listed as ‘Class C’ and Nutrient Sensitive Waters, according to the North Carolina Division of Water Resources. The HMP will restore approximately 9,000 linear feet of critical headwater streams as well as preserve approximately 700 linear feet. In addition this project will restore/enhance approximately 27 acres of riparian wetlands. The restoration approach will address specific water quality goals by promoting nutrient and sediment reduction in agricultural areas. WLS is currently developing a private commercial mitigation bank located in the Neuse River Basin, 8-digit Hydrologic Unit Code 03020202. This sub-basin spans portions of Johnston and Wayne Counties and includes the towns of Goldsboro, Selma, Pine Level, Mount Olive, Kinston, and Princeton. The Scarborough Mitigation Project (SMP) will restore over 9,000 linear feet of critical headwater streams, as well as restore approximately 50 acres of riparian wetlands, and permanently protect over 200 acres within the conservation easement. The site streams drain directly to the Neuse River which is listed as ‘Class C’ and Nutrient Sensitive Waters, according to the North Carolina Division of Water Resources. Over 90 percent of the streambanks have inadequate riparian buffers and over 60 percent of the total stream length is actively subject to on-site water quality stressors resulting from agricultural practices. Project restoration activities will reduce nutrient and sediment inputs from surrounding agricultural areas. In addition, portions of the site are designated as Conservation Areas under the Wayne County Land Use Growth Strategies. This designation is intended to focus conservation activities to resources that are limited or irreplaceable. The SMP would further this mission by protecting, in perpetuity, the ecological value of the Neuse River floodplain. WLS is currently working with the North Carolina Division of Mitigation Services (DMS) as part of their Full Delivery program to implement the Lake Wendell Mitigation Project (LWMP). The site is located in the Neuse River Basin, 8-digit Hydrologic Unit Code 03020201. The LWMP will restore/enhance over 3,000 linear feet of stream, preserve approximately 700 linear feet of stream, enhance/restore riparian wetlands throughout the project corridor, and restore/enhance/preserve approximately 12 acres of riparian buffer. The LWMP is a part of a comprehensive watershed restoration effort to improve and protect aquatic resources that have been highly impacted for over a century. The project is located in Johnston County between the communities of Wendell and Archer’s Lodge. The landscape in this region is rapidly urbanizing which has resulted in a loss of habitat and ecosystem functions. The LWMP is one of five restoration projects being implemented by WLS, all located adjacent to one another, that will restore, enhance and preserve over 22,000 linear feet of stream and will permanently protect over 64 acres of riparian buffer. WLS is currently working with the North Carolina Division of Mitigation Services (DMS) as part of their Full Delivery program to implement the Pen Dell Mitigation Project (PDMP). The PDMP is located in the Neuse River Basin, 8-digit Hydrologic Unit Code 03020201. The project will restore, enhance and preserve over 3,800 linear feet of stream, enhance and restore riparian wetlands, and restore, enhance and preserve over 16 acres of riparian buffer throughout the project corridor. The PDMP is a part of a comprehensive watershed restoration effort to improve and protect aquatic resources that have been highly impacted for over a century. The Lake Wendell area is located in Johnston County between the communities of Wendell and Archer’s Lodge and has been dominated by row crop production and cattle farming. The PDMP is one of five restoration projects being implemented by WLS, all located adjacent to one another, that will restore, enhance and preserve over 22,000 linear feet of stream and will permanently protect over 64 acres of riparian buffer corridor. WLS is currently working with the North Carolina Division of Mitigation Services (DMS) as part of their Full Delivery program to implement the Edwards-Johnson Mitigation Project (EJMP). This site is located in the Neuse River Basin, 8-digit Hydrologic Unit Code 03020201. The EJMP will restore over 2,400 linear feet of stream, preserve approximately 700 linear feet of stream, restore/preserve riparian wetlands, and preserve and enhance approximately 11 acres of riparian buffer. The EJMP is a part of a comprehensive watershed restoration effort to improve and protect aquatic resources that have been highly impacted for over a century. The Lake Wendell area is located in Johnston County between the communities of Wendell and Archer’s Lodge and has been dominated by row crop production and cattle farming. The EJMP is one of five restoration projects being implemented by WLS, all located adjacent to one another, that will restore, enhance and preserve over 22,000 linear feet of stream and will permanently protect over 64 acres of riparian buffer corridor. WLS is currently working with the North Carolina Division of Mitigation Services (DMS) as part of their Full Delivery program to implement the Odell’s House Mitigation Project (OHMP). This site is located in the Neuse River Basin, 8-digit Hydrologic Unit Code 03020201. The OHMP will involve the potential restoration, enhancement, preservation, and permanent protection of unnamed headwater tributaries, totaling approximately 3,646 linear feet of existing streams. In addition approximately 2.7 acres of degraded riparian wetlands will be returned to their natural function. The OHMP is a part of a comprehensive watershed restoration effort to improve and protect aquatic resources that have been highly impacted for over a century. The Lake Wendell area is located in Johnston County between the communities of Wendell and Archer’s Lodge and has been dominated by row crop production and cattle farming. The OHMP is one of five restoration projects being implemented by WLS, all located adjacent to one another, that will restore, enhance and preserve over 22,000 linear feet of stream and will permanently protect over 64 acres of riparian buffer corridor. WLS is currently working with the North Carolina Division of Mitigation Services (DMS) as part of their Full Delivery program to implement the Buffalo Creek Tributaries Mitigation Project (BCTMP). This site is located in the Neuse River Basin, 8-digit Hydrologic Unit Code 03020201. The BCTMP will involve the potential restoration, enhancement, preservation, and permanent protection of unnamed headwater tributaries, totaling approximately 4,838 linear feet of existing streams. In addition approximately 4.3 acres of degraded riparian wetlands will be returned to their natural function. The BCTMP is a part of a comprehensive watershed restoration effort to improve and protect aquatic resources that have been highly impacted for over a century. The Lake Wendell area is located in Johnston County between the communities of Wendell and Archer’s Lodge and has been dominated by row crop production and cattle farming. The BCTMP is one of five restoration projects being implemented by WLS, all located adjacent to one another, that will restore, enhance and preserve over 22,000 linear feet of stream and will permanently protect over 64 acres of riparian buffer corridor. 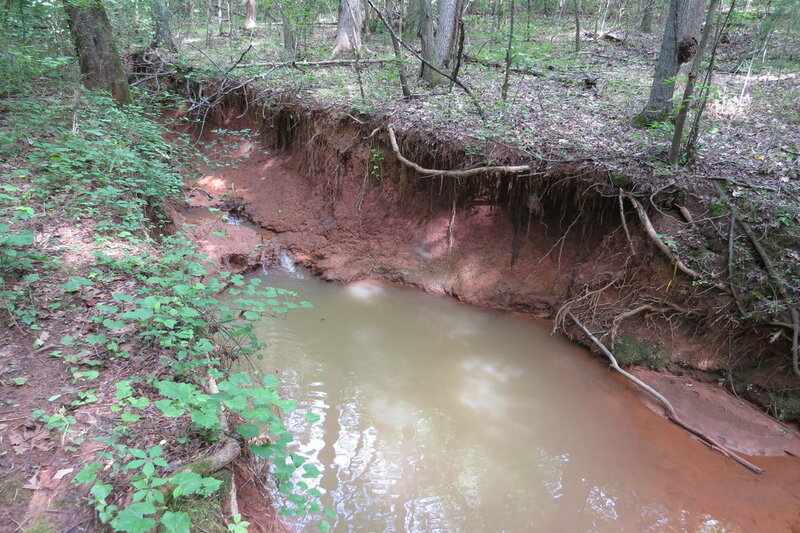 WLS is currently working with the North Carolina Division of Mitigation Services (DMS) as part of their Full Delivery program to implement the Horne Creek Mitigation Project (HCTMP). This site is located in the Yadkin River Basin, 8-digit Hydrologic Unit Code 03040101. The HCTMP will involve the restoration, enhancement, and permanent protection of unnamed headwater tributaries totaling over 5,000 linear feet of streams. As part of the restoration approach, water quality improvement features and agricultural best management practices (BMPs) will be incorporated as conservation measures to reduce major stressors to water quality and habitat. As a result of implementing this project, WLS will address mitigation goals in the Upper Yadkin River Basin Restoration Priority Plan and the Local Watershed Plan. WLS worked with the Wake Tech Community College - RTP Campus to evaluate potential impacts to a jurisdictional stream and associated floodplain buffer vegetation. After conducting a natural resources assessment within the campus expansion area, it was determined that a majority of the riparian buffer remained intact; however, approximately 130 linear feet of stream and adjacent floodplain was impacted during construction clearing activities. As part of the remediation effort, WLS recommended Natural Channel Design techniques and re-establishing a riparian buffer to mitigate the damages that occurred to the impacted stream and floodplain. WLS staff oversaw the construction work and channel repairs to create geomorphically stable conditions. On-site woody material was incorporated throughout the impact reach to stabilize existing riffles and provide in-stream habitat. In addition, the stream banks and floodplain were planted with native herbaceous seeding and hardwood trees. Following construction and planting activities, WLS will monitor the site for two years to demonstrate project success. WLS Engineering (WLSE) is currently providing repair design services including construction management and oversight as part of the Little Pine III Stream & Wetland Restoration Project in the New River Basin, 8-digit Hydrologic Unit Code 05050001. The site is located in eastern Alleghany County approximately eight miles east of the Town of Sparta. The project design was originally contracted under a design-bid-build contract with the North Carolina Division of Mitigation Services (DMS). The project construction and as-built surveys were completed in 2016, with site planting and baseline monitoring activities occurring between December 2016 and May 2016. The Monitoring Year 1 activities were completed in October 2016 and the project is currently in Monitoring Year 2. WLSE is providing repair design services to address channel instability along two project reaches. The project is expected to repair and enhance approximately 1,367 linear feet of stream channel flowing to Little Pine Creek. 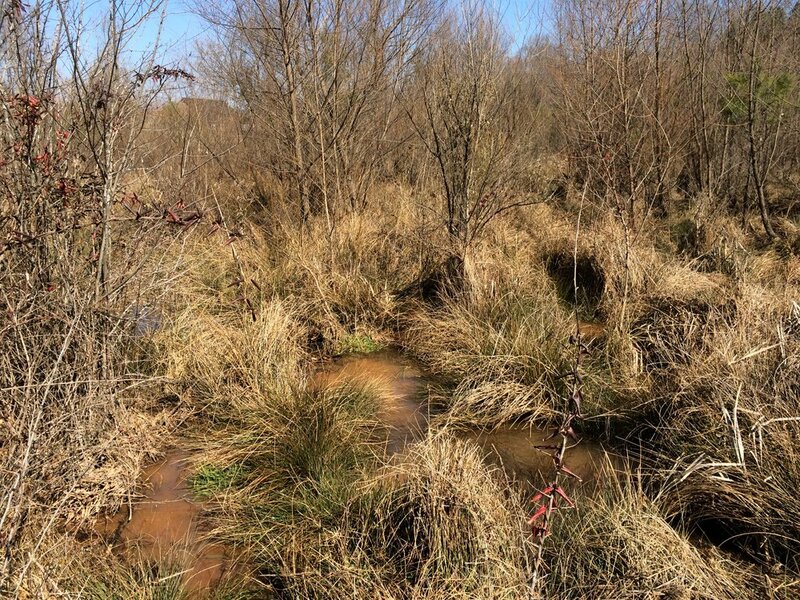 Water & Land Solutions (WLS) is currently working with the North Carolina Division of Mitigation Services (DMS) as part of their Full Delivery program to implement the Hornpipe Branch Tributaries Mitigation Project (HBTMP). The site is located in the Neuse River Basin, 8-digit Hydrologic Unit Code 03020202. The HBTMP will involve the restoration of stream totaling approximately 5,000 linear feet, riparian buffer and riparian wetland functions along unnamed tributaries to Hornpipe Branch, a tributary to Southwest Creek, which is a tributary to the Neuse River. This project will also include the restoration of degraded riparian wetlands that are situated along the geomorphic floodplains that have been historically manipulated by agricultural and silvicultural activities. Water quality improvement features and agricultural BMPs, including treatment basins, will also be implemented. Water & Land Solutions (WLS) is currently working with the North Carolina Division of Mitigation Services (DMS) as part of their Full Delivery program to implement the Banner Branch Mitigation Project (BBMP). The site is located in the Roanoke River Basin, 8-digit Hydrologic Unit Code 03010103. The project will involve restoration, enhancement, and preservation of over 14,000 linear feet of existing streams, riparian buffer and riparian wetland functions along Banner Branch and its unnamed tributaries. In addition approximately 4.0 acres of degraded riparian wetlands will be returned to their natural functions. Banner Branch is a tributary to Snow Creek, which flows to the Dan River before draining to the Roanoke River. The NC Natural Heritage Program (NHP) identifies a number of Rare, Threatened, and Endangered (RTE) fish species in the Dan River watershed (i.e., Riverweed Darter, Roanoke Logperch, Roanoke Hog Sucker, and Bigeye Jumprock). This mitigation project will help improve water quality, as well as habitat for these listed threatened and endangered species.